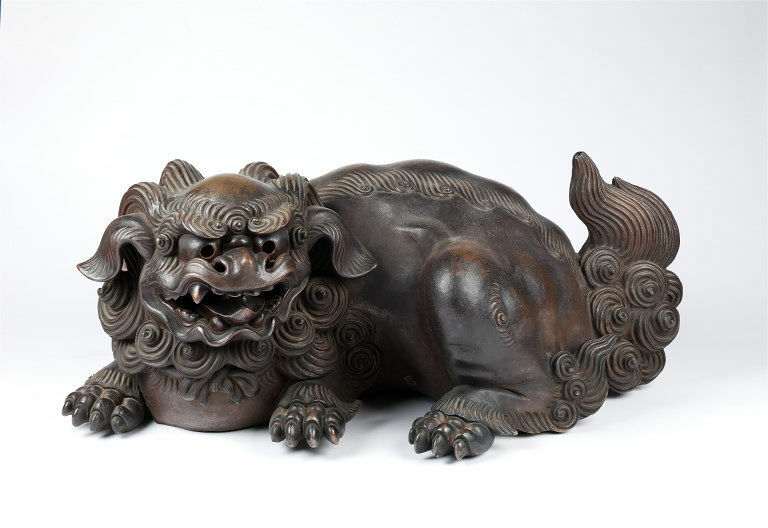 A shishi is a mythical beast sometimes known as a 'Chinese Lion' or 'Dog of Fo'. 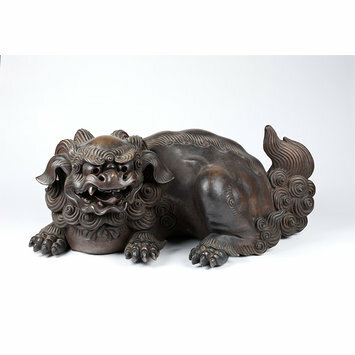 Their carved figures are often found, usually in pairs, in the grounds of temples or shrines, where they guarded against evil spirits and demons. This particular shishi is made of glazed stoneware and was produced at the Bizen kilns (modern Okayama Prefecture) in Japan. Shishi are often shown near waterfalls or amid rocks and peonies. They are said to cast out their young from a high rock. If the cub begins to climb up again it is judged to be a perfect beast. 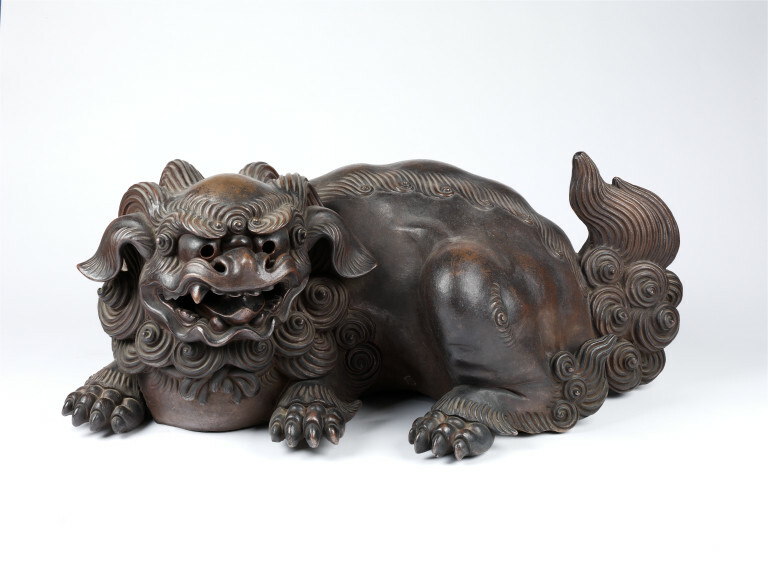 Many depictions of shishi climbing up rocks are found in Japanese art. Figure of a shishi, stoneware with thin glaze, Bizen ware.